A delegation from the Edinburgh Green Investment Bank Group recently briefed MPs in the House of Commons before presenting the business case for locating the UK Green Investment Bank in Edinburgh to Michael Moore, the Secretary of State for Scotland. 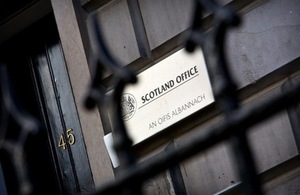 The Group went on to meet the Business Secretary, Vince Cable, other Ministers and senior Treasury officials, where they presented the business case for Edinburgh. The Edinburgh Green Investment Bank Group is made up of business leaders from industry, academics and experts within the Financial Services sector. The campaign also has the support of Scottish Renewables, Scottish Financial Enterprise, Northern Ireland Chamber of Commerce, Scottish Council for Development and Industry, Scottish Chambers of Commerce, Scottish Development International and Scottish Enterprise. The business case is based upon Edinburgh’s expertise in financial services, education, research and development, as well as its growing reputation in renewable energy and low carbon technologies. “I am aware of the hard work which has gone into preparing the business case for taking the Green Investment Bank to Edinburgh where it will be able to serve the whole of the UK. “I have consistently said I think it makes sense to have it in Scotland because of the unique strengths we have in terms of finance sector, the energy industry and research and I will now look at the city’s bid in detail.